Best of all, fiberglass can stand up to anything you can throw at it and still come out looking gorgeous, with normal use. 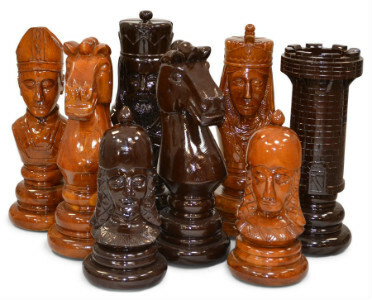 All kinds of weather, sunlight, and years of use won’t cause a bit of use to show on your fiberglass giant chess set! 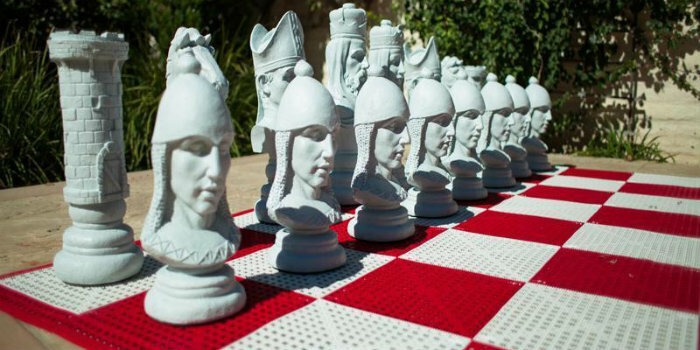 That’s definitely a plus for an outdoor chess set. 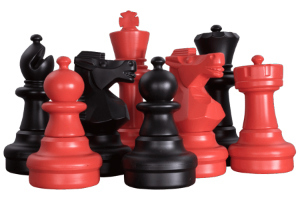 Still, we wouldn’t recommend dropping or throwing your fiberglass chess pieces as the finer details could become damaged with rough treatment. Best of all, they never need to be oiled, stained, sealed, or anything else. A quick rinse with a hose will remove any dirt and have them looking their best in no time. 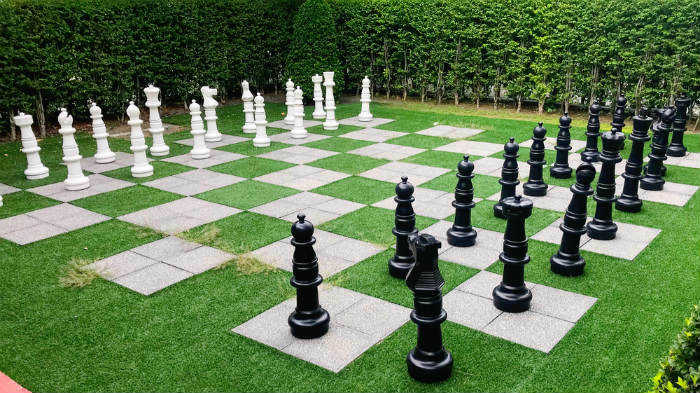 The styles that are available for your garden chess set depend largely on which material you choose, and the style you pick will also affect the final price. 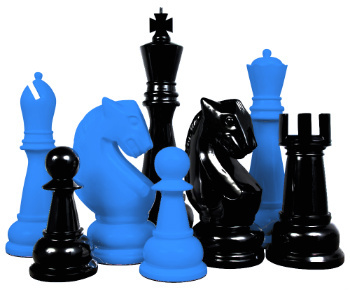 For example, fiberglass chess sets are easily customizable with any set of colors you choose, but they do cost a premium. 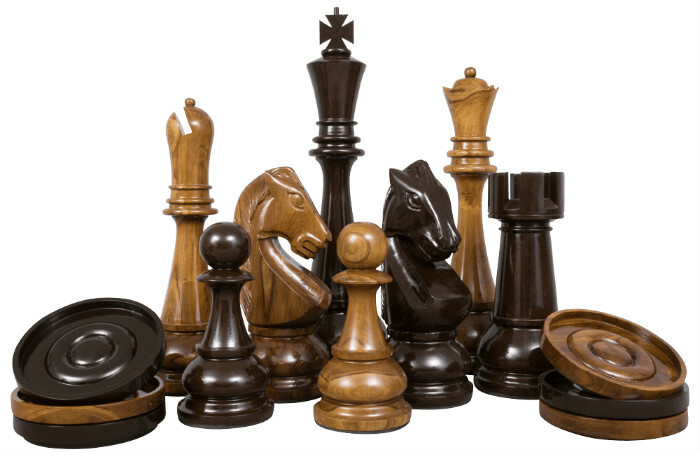 Teak sets are available in the Staunton pattern, a Medieval style, and a modern geometric style, but they’re also not cheap. The plastic sets have the least variation in available styles and colors, but they’re also the most cost-effective. You’ll have to decide how important having a certain style is to you. Is it worth going over budget?